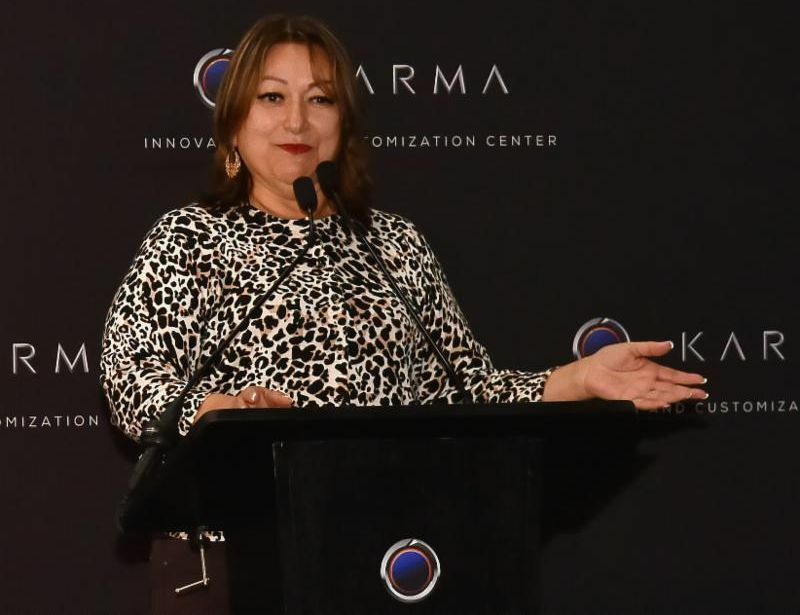 Karma Automotive launched its new Moreno Valley-based customization and innovation hub this week. 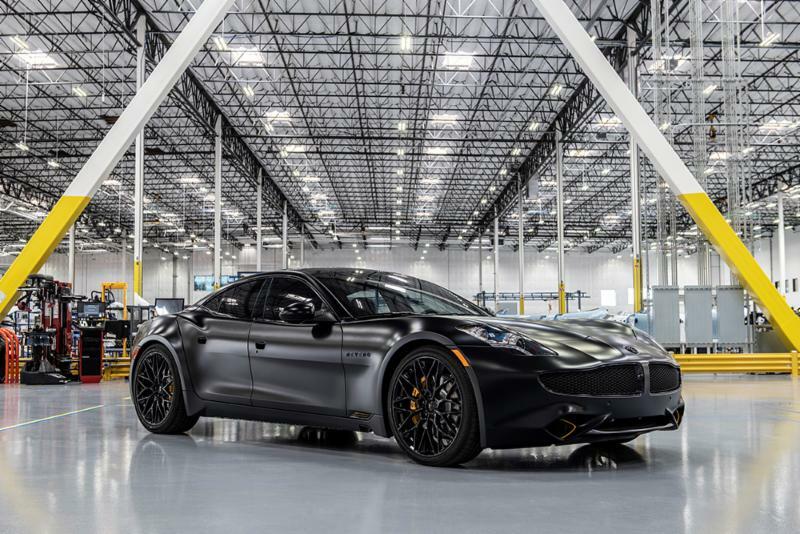 Rebranded as the Karma Innovation and Customization Center (KICC), the facility will house production of the company’s new 2020 Revero luxury electric vehicle and will provide the ultimate in customization, craftsmanship and technology integration. 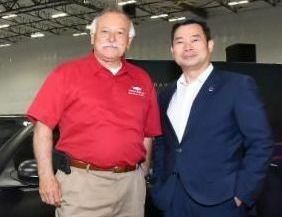 The City's strong economic development efforts brought Karma luxury "tri-powered" auto manufacturing facility to Moreno Valley in 2017. KICC represents Karma's deep commitment to Moreno Valley's bright future. 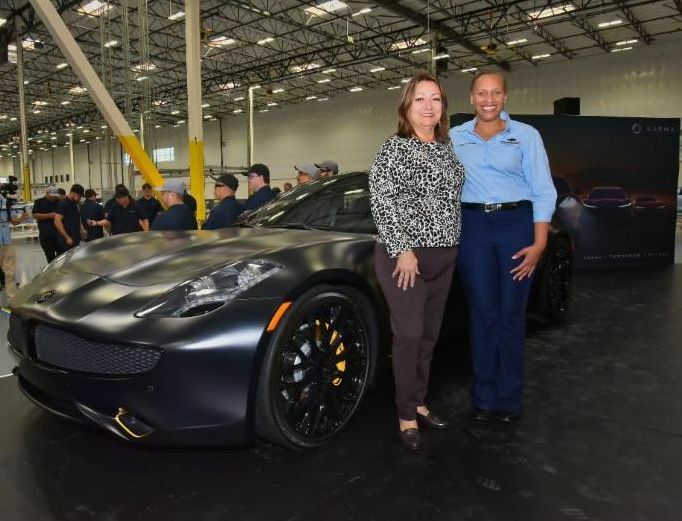 City Staff has benefited from an excellent working relationship with the auto manufacturer and were delighted as Moreno Valley City Officials joined Karma Automotive to celebrate this momentous occasion. KICC produces the company’s 2019 Revero and is transitioning to produce its 2020 Revero during the second half of this year. Karma’s new Revero will debut next week at Auto Shanghai 2019 as part of the automaker’s “New Dawn” product showcase. 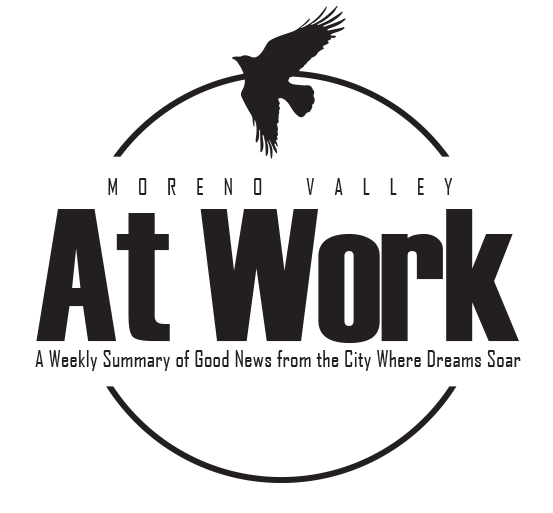 For more information about the City of Moreno Valley’s ever-expanding economic opportunities or to learn more about developing a business in Moreno Valley, please visit morenovalleybusiness.com . Are you looking for a place to plug-in? Moreno Valley's City Hall parking lot boasts three Electric Vehicle (EV) charging stations available for public use. The City's charging station, powered by the Moreno Valley Utility (MVU), features one fast charge station, which can provide an 80% charge of an electric vehicle in just 30 minutes, and two Level 2 units chargers that can fully charge most electric vehicles within four hours. 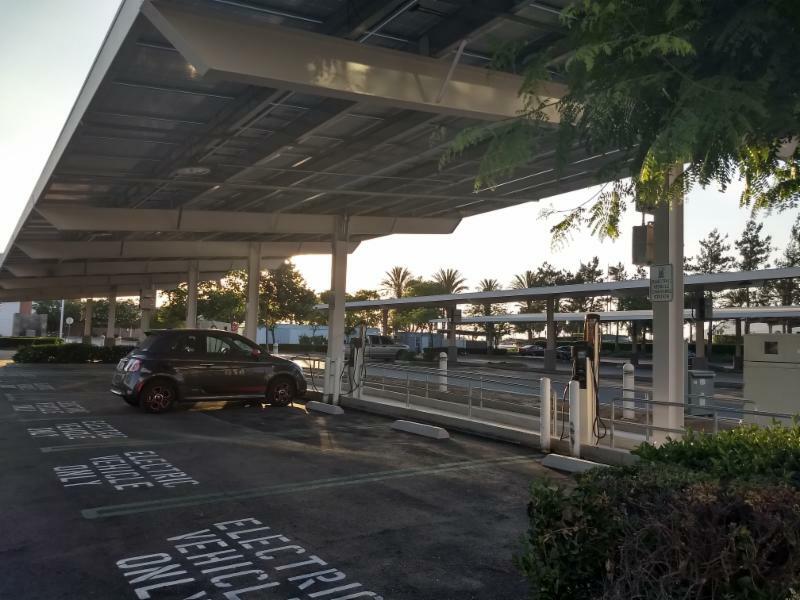 The installation of the EV chargers was funded in part by grants from the Mobile Source Air Pollution Reduction Review Committee’s (MSRC) Clean Transportation Funding program. MSRC has co-funded over 117 alternative fueling stations throughout Southern California helping to remove as much as 8,000 tons of air pollution from the skies. As the popularity of Electric Vehicles continues to grow, the Moreno Valley Utility plans to install additional EV charging units in 2020 with additional grant funding from the MSRC. For more information about the Moreno Valley Utility, please visit moval.org/mvu. Mayor Gutierrez and the City’s award-winning Media and Communications Division have done it again. 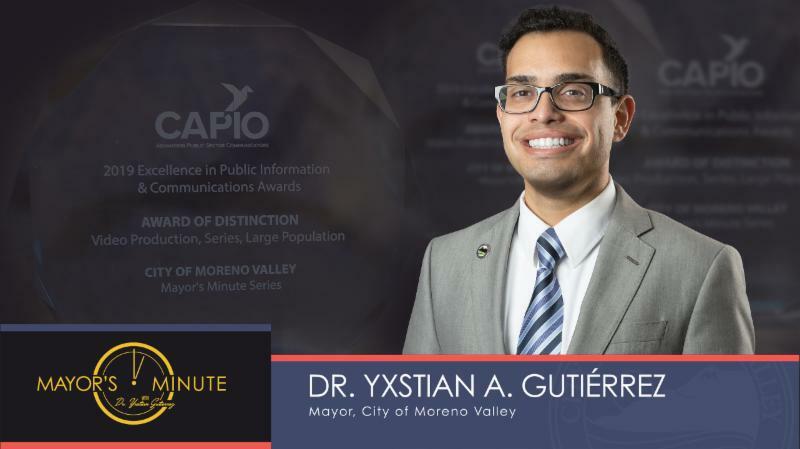 Moreno Valley was honored by the California Association of Public Information Officials (CAPIO) with the Award of Distinction in the Digital Communications category for the City's acclaimed video series entitled “Mayor’s Minute” hosted by Mayor Yxstian Gutierrez. The Media and Communications Division serves as the City's media relations and public information office, provides graphic/website design and audio/visual services to City departments, and manages the operations and video productions of the City's award-winning and Emmy Award-nominated government access cable TV channel, MVTV-3. Check out the latest episode of “Mayor’s Minute” on the City's YouTube Channel. For the second year in a row, the City is pleased to join more than 3,400 communities in the United States that have earned the “Tree City USA” designation. This designation demonstrates the City’s commitment to beautification, community engagement, and improving the quality of life for all residents. 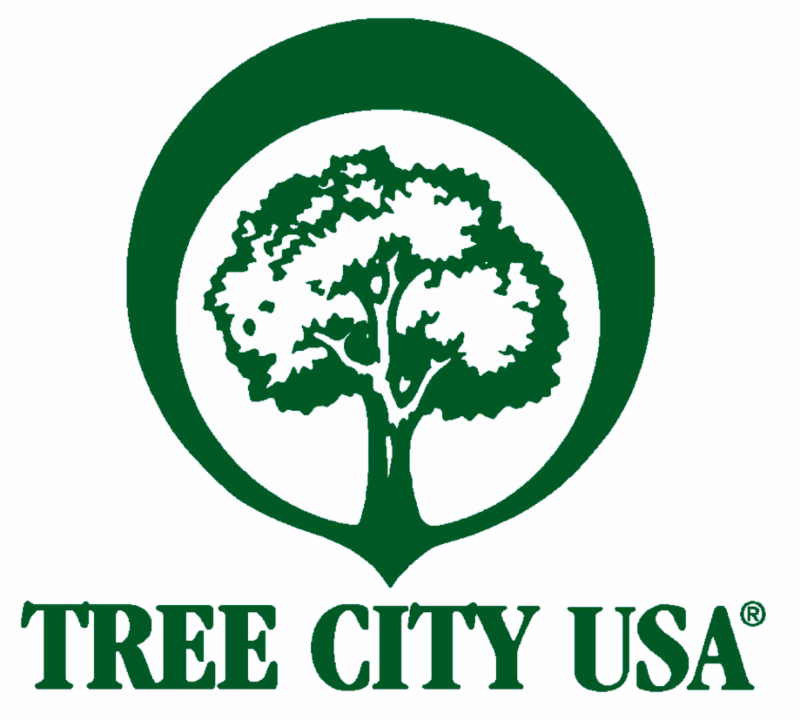 The Tree City USA program is sponsored by the Arbor Day Foundation in cooperation with the National Association of State Foresters and the USDA Forest Service. As part of the designation process, the City Council adopted a proclamation proclaiming April 26, 2019, as Arbor Day in the City of Moreno Valley. Since Arbor Day’s national inception in 1872, Arbor Day provides an opportunity to promote greener and healthier communities by tree planting. Trees moderate the climate, offer natural cooling, filter the air, provide habitats for wildlife, and create renewable resources such as mulch and other wood products. Greener communities also improve moods, decreases stress levels, and increases property values. The City of Moreno Valley is proud of the hard work it takes to receive this special designation. For more information about the City's many efforts to Keep Moreno Valley Beautiful, please visit moval.org/kmvb. Find profitable opportunities with your largest buyer yet, California's State Government! 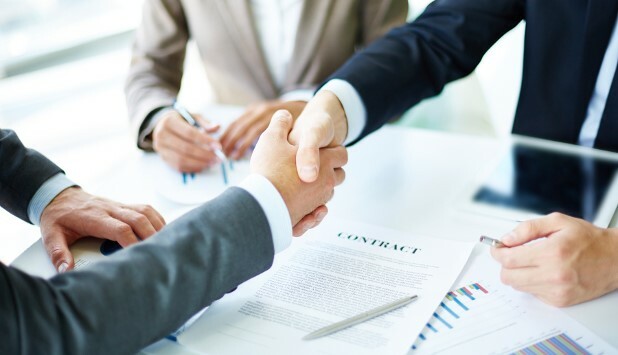 Learn the business basics of State government procurement by understanding how to get started as a vendor, and how the government decides to buy through this introductory workshop presented by the Riverside Procurement Technical Assistance Center. The workshop is FREE, but please pre-register here. Bring your furry friends to The Moreno Valley Animal Shelter April 13 from 8:30- 11:30 am for the Low-cost Rabies Vaccination Clinic. 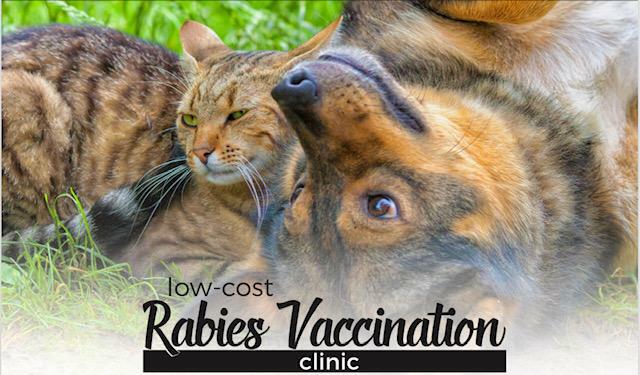 Rabies vaccinations will be provided at a deeply discounted rate of $6.00 per pet. Vaccination may be paid in cash or with debit/credit cards. Moreno Valley Animal Shelter will also have a one-time $10 Microchip promotion during the Low-cost Rabies Vaccination Clinic. For more information visit the Moreno Valley Animal Shelter's website.